Index Annuities- Are They Enhanced Bonds? You are here: Home / Index Annuities- Are They Enhanced Bonds? In the next 5 minutes, I hope to challenge the conventional wisdom of ‘a balanced portfolio of stocks and bonds’ as a safe way to invest. Bonds are traditionally considered a safe, fixed rate asset, suitable for many an investment portfolio. As retirement approaches, conventional wisdom is to shift to a greater concentration of bonds to decrease risk. And further still, many people end up in bond funds that diversify risk and return by actively trading multiple classes of bonds. But in a Rising Rate Environment, Do You Understand All The Risks? The truth is, if interest rates rise, bonds lose value. The bond can perform perfectly, but you will still show a loss on your portfolio statement. Now, it’s true that you can elect to hold the bond to term and get your yield, but a bond that is ‘underwater’ is for all practical purposes illiquid because you WILL lose money if you sell and reposition your money. And if you are in a bond fund, it is likely the fund will not hold individual bonds to maturity. The risk of loss is even greater because the fund manager might prune holdings and leave you with losses. Don’t get me wrong- bonds and bond funds DO produce income from the coupon, and by and large, are very safe credit risks and thus are safe investments. But is it the smartest place to be when we expect rates to rise? Yes, there is. Fixed index annuities provide conservative growth and asset protection to a greater degree than bonds in our current market. Let’s look at each of the enhancements in more detail. Insurance companies manage their general account as a pool of conservatively invested assets. In addition to real estate mortgages and safe holdings like infrastructure projects, they invest in bonds. One can view the broad base of assets behind the fixed index annuity contract as essentially the same as the bond you would buy…. …except the annuity includes the enhancement of the reserves of the insurance company. The insurance company buys the bonds you would buy, but then enhances it with a guarantee. They, not you, bear the risk of bond devaluation based on changes in interest rates, which results in a guarantee of principal. In sum, you get an enhanced bond… the bond plus more safety, all in a contract backed by the company itself where you cannot lose money! Many insurance carriers issue index annuities, in addition to other insurance products like life insurance and fixed annuities. These carriers take in your premium and buy diverse safe assets including bonds. The insurance company’s general investment account yields an income. Now, if you held a fixed annuity or whole life policy, your premium investment holds a proportional share of the yield on this ‘fixed account’. The yield is credited to your account proportionally. But with a fixed index annuity, rather than credit you with the fixed account yield and call it a day, the insurance company uses that income to buy options in a stock market index. They wager only the earnings from the fixed account investments, not the principal itself, in the market index. The options invested in market index drives the yield in a ‘fixed index annuity’ contract. If the market does well, the contract owner captures a portion of that market rise. Now, given today’s caps and participation rates, the potential gains in fixed index annuity contracts are far better than yields on bonds of similar duration. In recent years, renewals and actual contract statements prove this to be true. 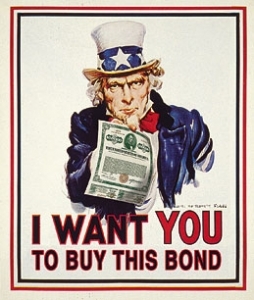 Bonds are only a flexible and liquid investment if you sell them. But selling bonds may trigger a gain or loss- the price you get depends entirely on the rate environment at sale time. This could be very good or very bad, but you have no certainty of price or execution until you make it happen. The downside is when an unforeseen emergency arises and you are forced to sell. A crisis does not check with the markets before precipitating, and Murphy’s law would have the crisis come at a time when the market is in the tank. You may be forced to sell, and forced to take a loss. It’s liquid, but it’s not the kind of flexibility most people want in retirement. By contrast, index annuities contain a free withdrawal provision that permits withdrawals of 10% or more of the account value each year, and without penalty. In addition, most contracts allow for full access to the funds in the case of major life emergencies including terminal illness, long-term care and death. Unlike bonds, you have flexibility and partial liquidity, all with no risk of loss whatsoever when a loss would hurt the most. To be sure, bonds are a suitable retirement vehicle for many people. They are safe, they provide a yield, and they have liquidity and flexibility. But as we have just shown, index annuities simply offer more and better provisions in each of these three areas- more safety, more flexibility, and more yield. In today’s market environment bonds simply do not offer the overall benefits most retirees need for the safe allocation of a portfolio. Index annuities are an option that provides more safety, higher yield potential, and the flexibility a person needs to make a retirement income strategy really work…. If you want more safety… more yield… more flexibility, then consider allocating your safe money to index annuities, as an enhanced bond portfolio.